Her appreciation and reverence for the rural lifestyle is apparent in the sensitivity of her images, and this one is no exception. Dapple grey Dash is owned by Randy Robertson, and lives in Lakefield, Ontario. On this particular day it was snowing hard, and capturing the snow, while keeping the camera dry and the lens clean was a challenge. 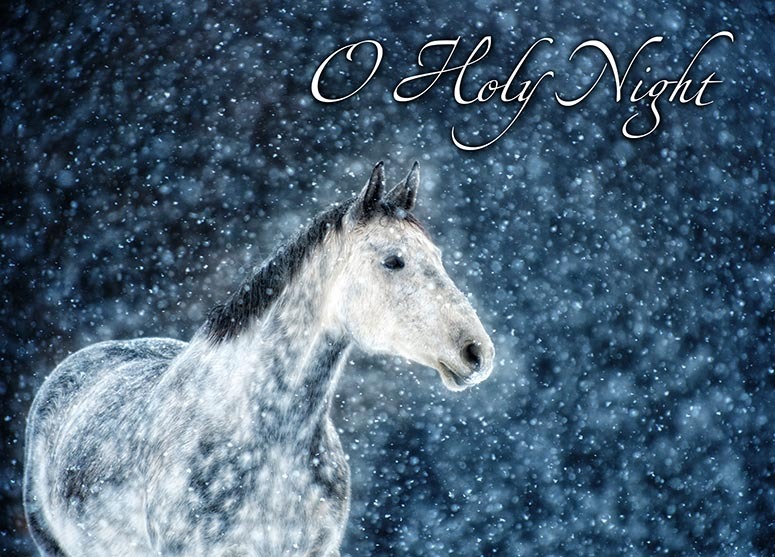 Thankfully, Christina was prepared, with the skills and equipment to capture this lovely winter scene - each snowflake as if carefully placed by the hand of God, echoing the same snowflake pattern in the coat of His most wondrous creation, the horse. Christina tells me that this particular picture has had no Photoshop editing done to it, and that it had been previously rejected by other photo buyers because they thought it had been artificially augmented!